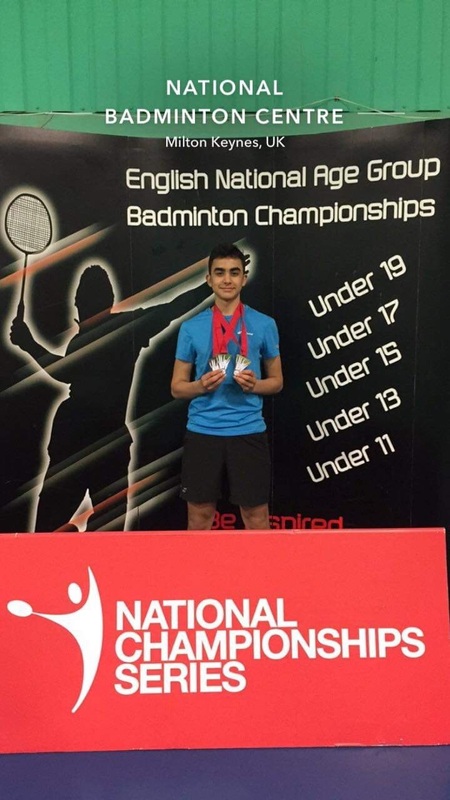 A fantastic performance by MGS badminton ace Cholan Kayan, 16, saw him win three medals at the English National Badminton Championships, held at the National Badminton Centre in Milton Keynes. Cholan won both the singles, and doubles titles, in the Under-17 age category, and also won a bronze medal in the mixed doubles. To bring home three medals, including two gold medals and crowned singles and doubles champion all at the same tournament are truly remarkable achievements.